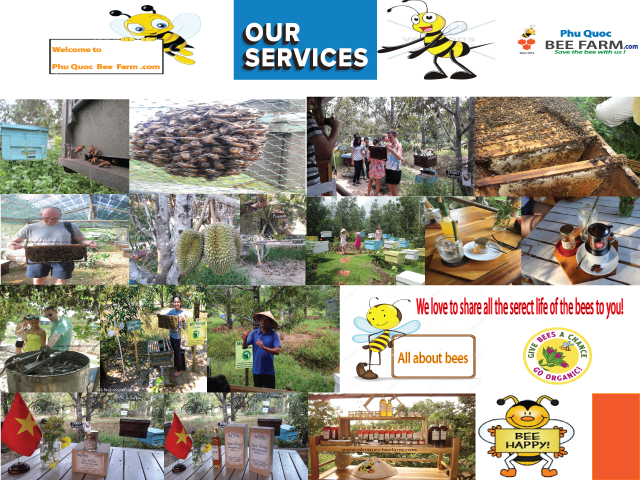 About us ~ Phu Quoc Bee Farm: Save the bees with us! We would like to introduce briefly about Phu Quoc Bee Farm. Phu Quoc Bee Farm is the ecological farm is invested from 2014 in Hamlet 2, Cua Can, Phu Quoc, Vietnam. 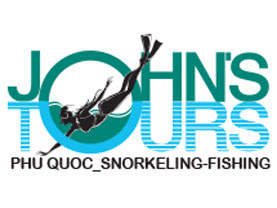 As the first ecological honey bee farm in Phu Quoc Island of Vietnam, we are working to build a sightseeing experience place specializing in honeybee and ecology for all who love the bee. Here, our guests will have time to listening all explanations about the honey bee, provided much useful information about the value of honey bee, understand why people need to protect the health of pollinators, especially honey bees. Phu Quoc Bee Farms are managed with criteria for clean, ecological and 100% organic, friendly natural habitat of honey bee and creating long-term benefits for the pollinators, especially honey bees and butterflies. The Phu Quoc Bee Farm is located in the buffer zone of the national primary forest (The world Biosphere Reserves), where the primeval forests with a variety of flowers such as melaleuca, buy flowers, flowering myrtle, flowering things, flowers white eucalyptus, acacia flowers, Kudzu flowers forest, flowers the forest, flowers and more flowers virgins and other tropical fruit trees like rambutan, durian, longan, ... this is a wealthy source of pollen and nectar for honey bees. We can also organize some farm tours for visitors (adults and children) who want to participate in farm activities such as planting and harvesting, understanding of all the values of bees in general for human life. Those farm tours helps increase practical knowledge and develop the skills to live close to nature. And of course, Visitors come to Phu Quoc Bee Farm will surely enjoy local nutritious beverage made from raw honey of our farm and more. With the value of the natural environment and ecological superiority of Phu Quoc Island in Vietnam, protection of honey bees in Phu Quoc Island is critical significance mission of all who loved Phu Quoc. Come to Phu Quoc Bee Farm to understand and love honey bees. Please protect honey bees before it's too late, and the cost is incalculable. Let 'pollination experts "are doing great work and dedication to humankind the vast greenery of life on this planet. Let the children had the opportunity to observe meticulously the sister worker bees make honey hard on brightly colored petals hope, and then we'll get those moments filled with emotion and love. Let's start from the love and cherish of honeybees then to realize that we humans really are longing for a common dream to live in harmony with all life. we are very pleased to welcome and serve you at the farm. Lastly, We wish for all of you have been living in peace and happiness. Opening times: Daily open from 9:00 AM - 5:00 PM. Save the bees with us now!